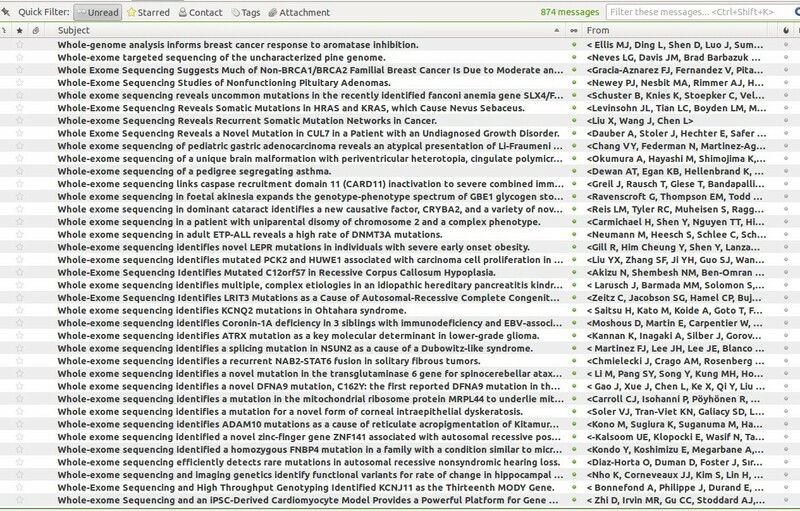 Here is a screenshot of Thunderbird with the RSS feeds for "NCBI/pubmed: Exome Sequencing". I'm pretty sure that all that (semantic) information is lost. Dear editors, could you please ask the authors to complete or create an article in wikipedia about their paper once you have published it (possibly using a semantic template ?). See also We found a gene involved in a genetic disease. Now, what is the TODO list ?